The Cypriot authorities have eased the restrictions on the movement of capital overseas; individuals will be able to transfer up to €50,000 a month out of the country from Monday 16th February. EARLIER today, the authorities in Cyprus announced that they will raise the limit on overseas transfers; the changes come into effect on Monday 16th February 2015. From that date individuals may transfer up to €50,000/month per person for each credit institution and/or payment institution out of the country, up from a previous €20,000 ceiling. However, the export of Euro notes and/or foreign currency notes in excess of €10,000/person/journey abroad (or the equivalent in foreign currency) are prohibited. 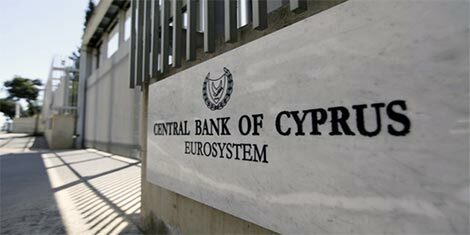 Cyprus introduced capital controls in April 2013 to prevent a cash flight after the bailout forced the closure of the Laiki Marfin bank, and the Bank of Cyprus seized deposits to recapitalise. The new decree will remain in force for 28 days, the ministry said. @Deanna on 2015/02/14 at 12:19 pm – These decrees on the Temporary Restrictive Measures, which were introduced as a consequence of the bailout, only last for 28 days then a further one is issued. It may be that the next decree will reduce the amount individuals can transfer overseas, but I doubt it. Only in force for 28 days: what happens then, does the portcullis come down?